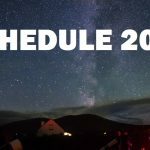 In May of 2014 a group of like minded Amateur Astronomers from Clubs around the country got together to hold the first Irish Open Star Party. 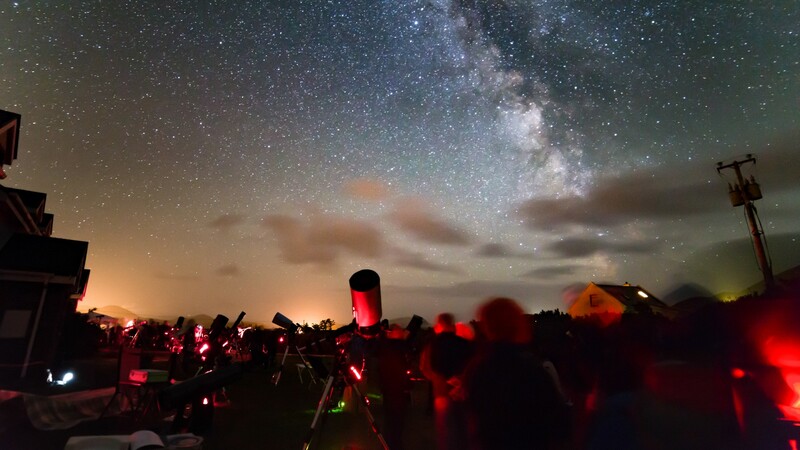 The obvious choice of location was Europe's only Gold Tier Dark Sky Reserve, right here, in the South West of Ireland. 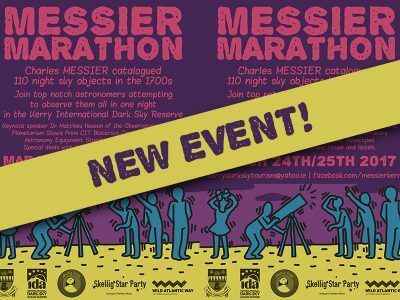 From that simple idea grew the annual Skellig Star Party. 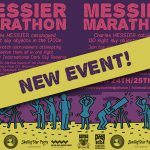 The 2018 SSP takes place 10 - 12th August. 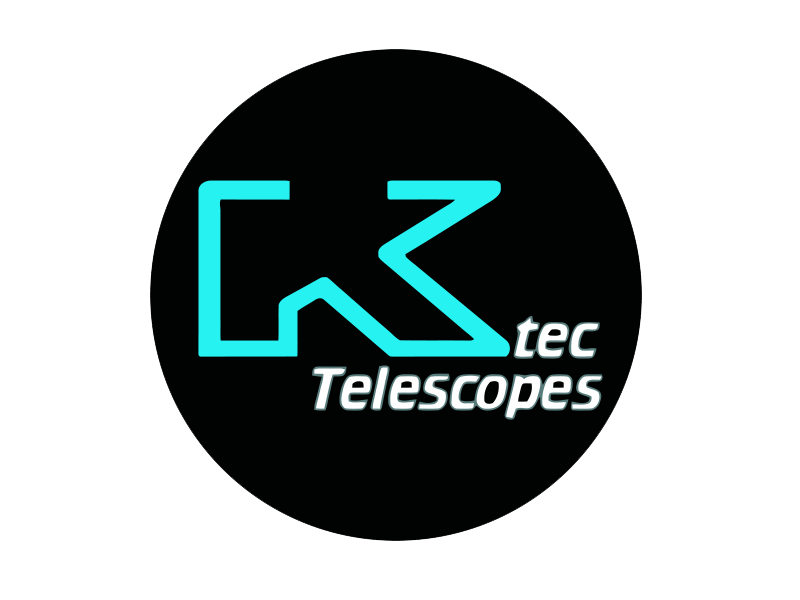 There is plenty for all to do over the weekend as talks/workshops will take place on the Saturday afternoon followed by a table-quiz, as well as a BBQ on the Friday evening, Saturday morning/evening in aid of Barnardo's. 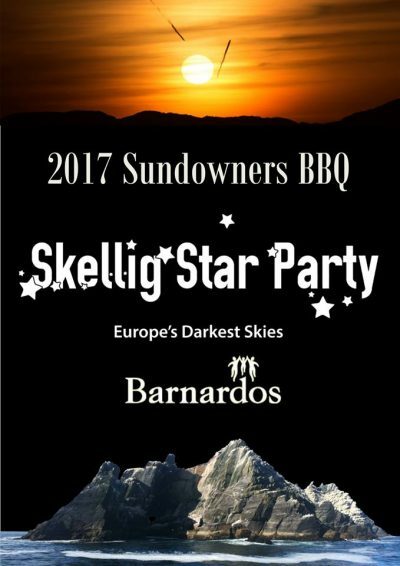 Please ensure you book by sending an email to info@skelligstarparty.com and pay on the day. 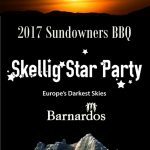 The Skellig Star Party event is held in the glorious Kerry International Dark Sky reserve, right in the heart of the Ballinskelligs. 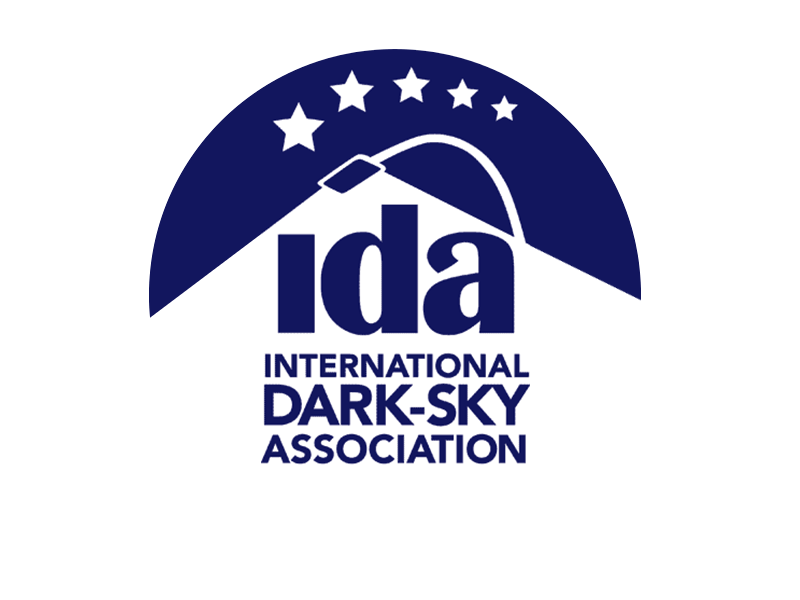 In the map below, the darker region denotes the core of the Dark Sky Reverse. The lighter region outlines a buffer zone. 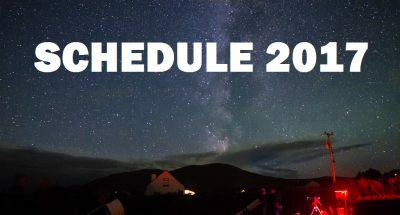 The Skellig Star party is an annual non-profit astronomy event, organised by a small group of amateur astronomers, for astronomers, with the generous support of the Kerry International Dark-Sky Reserve. 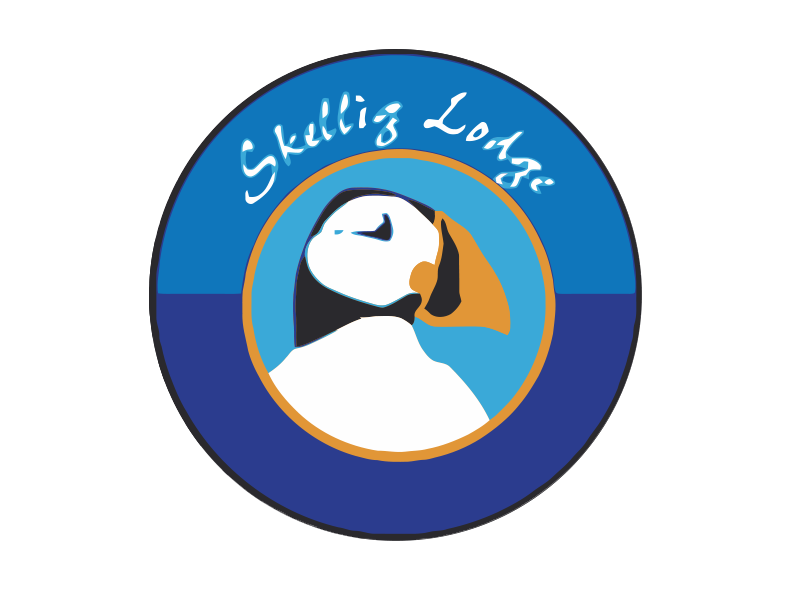 The event takes place at the Skellig Lodge, in the heart of Kerry's Ballinskelligs.